From the day of its launch in 2003, the Longines evidenza collection was enthusiastically received everywhere. 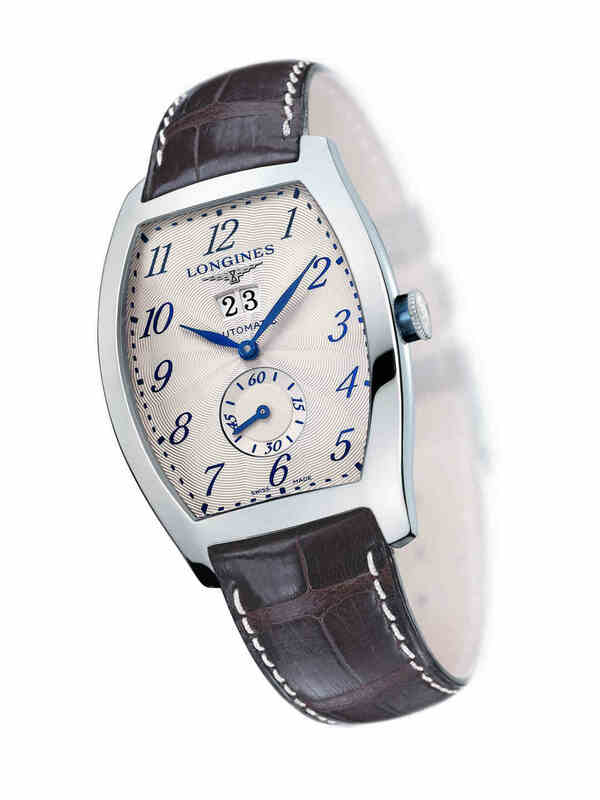 Celebrated for both the classic elegance of its tonneau-shaped case and its purely horological excellence, it reaffirmed yet again Longines’ uniquely stylish way with technology. Building on that initial success, is today expanding the Longines evidenza collection with watches featuring complex mechanisms; moon-phases, double-aperture date calendar and power-reserve indicator, designed for women and man alike. A normal wristwatch calendar may sometimes be hard to read simply because of its dimensions. So watchmakers have been only too happy to design and build calendars displaying the date in two rather than a single aperture, the larger calendar figures much improving legibility. The stainless steel case of the Longines evidenza collection’s double-aperture calendar watch houses an 11 1/2-line, 30-jewel L599 selfwinding mechanical movement beating at 28,800 vibrations per hour and providing a 42-hour power reserve. Along with the hours, minutes and seconds, its dial very legibly displays the date in a pair of apertures positioned just under 12 o’clock. All Longines evidenza complication designs feature a stainless steel case framing a black or silvered dial inscribed respectively with 12 silver painted Roman numerals and silvered steel hands or 12 blue painted Roman numerals and blued steel hands. All of them can be fitted with either a stainless steel bracelet or a dark brown genuine leather strap.